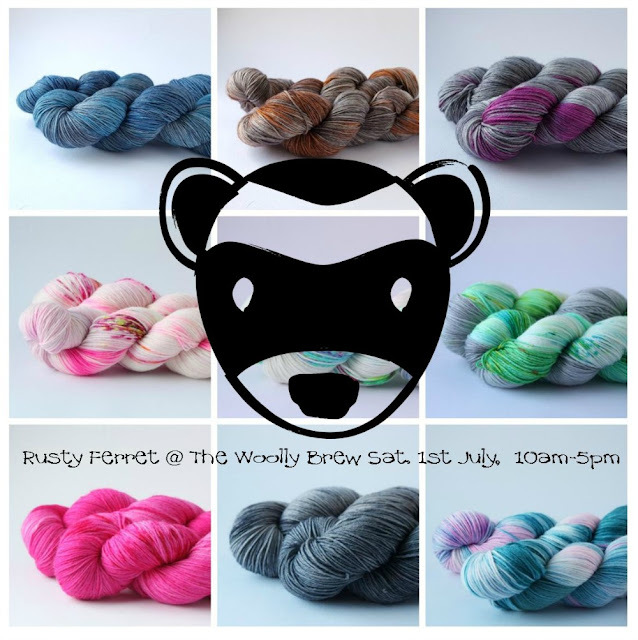 Rusty Ferret yarns will be at The Woolly Brew on Saturday 1st July for a trunk show. Come chat to the maker Leona and smoosh some glorious yarn. 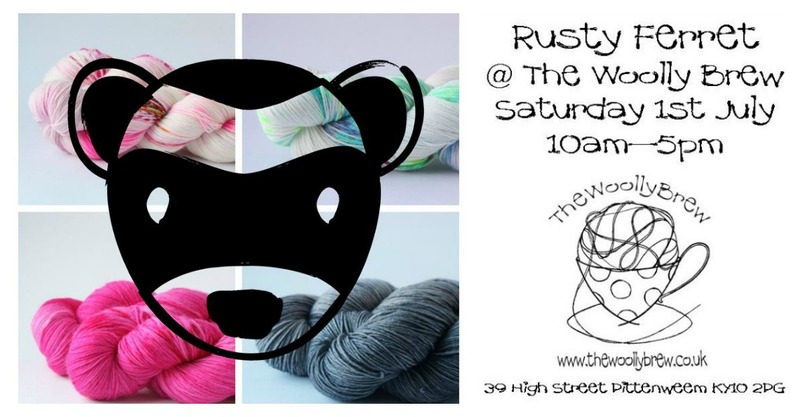 Leona dyes all the yarn in Rusty Ferret towers in Dundee (aka Fluph) and she'll be bringing trunkloads of hanks and samples to brighten up The Woolly Brew on Saturday 1st July. Fancy trying the latest yarn trend..sprinkles? A variegated riot of colour or a subtle semi-solid? Want to buy something unique for yourself or as a gift? Looking for a special yarn for a summer project? Or to eat cake and talk to an artist? Come along on Saturday 1st July 10am-5pm at The Woolly Brew for all this and more. Check out #rustyferret on Instagram and follow Leona and Fluph too... here and here. 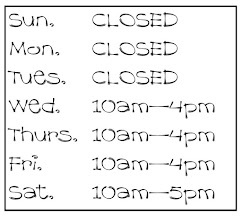 Remember it's one day only at The Woolly Brew!